Off-the-shelf telematics solutions continue to multiply, filling technology gaps and making it easier to run fleet businesses of many types. 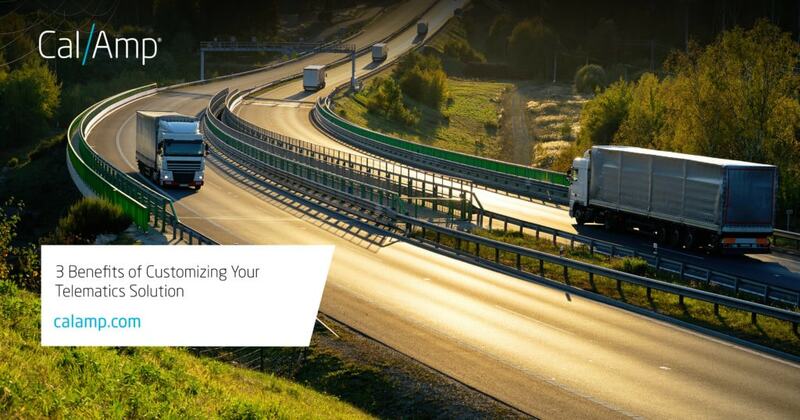 With so many applications to choose from, it might seem counterintuitive to consider tailoring a regular telematics solution to fit your operations. In fact, the benefits of customizing a solution often greatly outweigh the investment. With a made-to-order system, you can typically move to market faster, with smoother deployments, because you are not fighting against problems caused by systems that are not designed to work together. A reliable, integrated solution designed by an experienced team will just work. Here are three specific instances when you should strongly consider modifying a standard solution. When your industry fills a small but important niche, it can be difficult or impossible to find a solution designed for your needs. A custom option, especially one built on an extensible cloud-based platform, can solve problems while leaving room for future developments and expansion. A telematics system tailored precisely to the needs of your industry can give you the edge you need to prevail over your competition. Older equipment that was built before the advent of the IoT doesn’t often come with over-the-air connectivity out of the box—but that doesn’t mean it isn’t important for you to be able to connect and communicate with it. A custom solution can use components designed to “speak” a legacy systems’ language to provide a fully integrated communication and workflow experience. The result should bring new efficiency to your operations without the need to re-invest in expensive equipment upgrades. Cloud-based solutions provide resources as you need them. When you require more computing power and storage, a cloud-based solution is ready to scale with you. A custom solution built on a platform-as-a-service with a web-based interface makes it easy to manage your equipment and assets from anywhere you can bring a tablet or smartphone. When designing a custom solution, choose a team that has expertise in building programming to communicate with your devices so you can extract the data needed to make business decisions. Information requirements change over time, so look for a professional services team that can continue to offer support as you add new systems that need to connect to legacy equipment. Take time to understand where and how your data will be hosted as well as the accessibility to share your different types of data appropriately with the appropriate audiences — customers, sales engineers, operations and management, for example. To learn how CalAmp can help guide you to the perfect custom solution, please visit our Professional Services page here.